Stella Creasy, MP for Walthamstow has been tweeting about it and the local press have taken up the story but it seems the police are now no longer sure that these stickers are all associated with burglary gangs. Whether these stickers are part of crime or just a marketing technique the advice would surely be the same. If they appear on your letterbox, take them off. 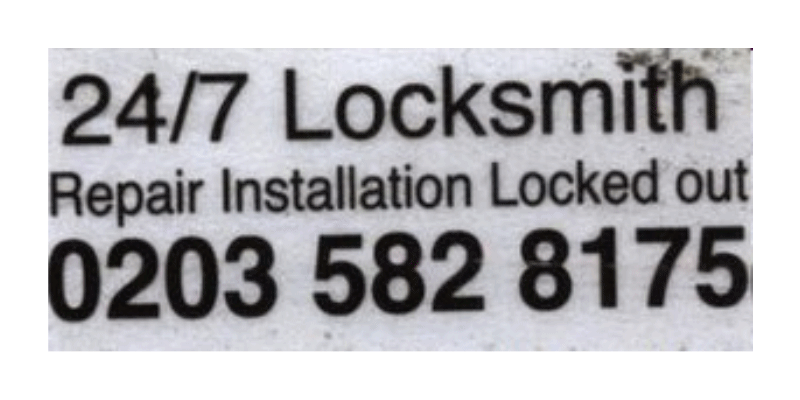 And if they are being put there by locksmiths the advice to them must surely be: you need to rethink your marketing, because even if this technique used to work, it’s unlikely to now! Thanks for your advice and sharing idea with us. I thing it may be a crime not just for marketing, as there are plenty of alternative options available.